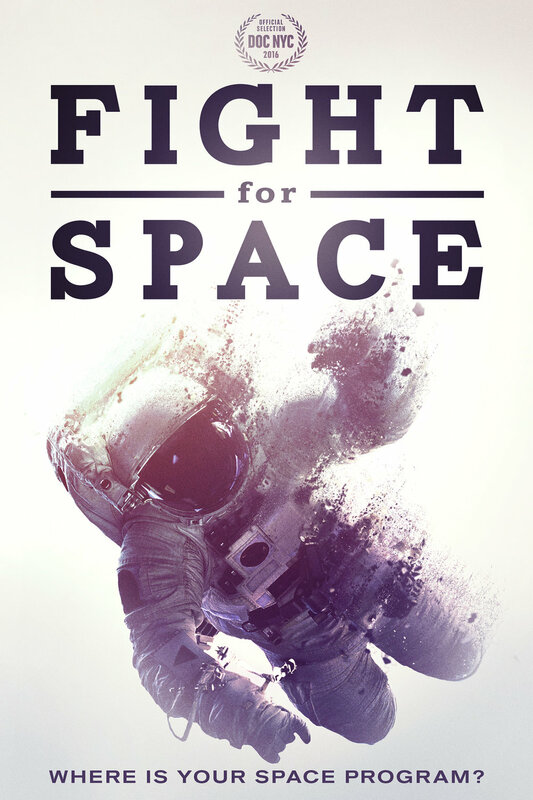 Watch the official Fight For Space trailer. Also, by designing the scores with respect for the intelligence of the audience, the shows themselves took on a broader appeal in that they were not patronizing. Soon after this random encounter, Chris Montan called and asked Ron to score the animated series, Duck Tales for Disney. Ron played the adventures of Huey, Louie, Dewey and Uncle Scrooge as a serious “Raiders of the Lost Ark” action/adventure show. This worked in a wonderful way against the comedy and with of the stories. Duck Tales has been one of the most successful animated series of all time and still plays to a large worldwide audience. After Duck Tales, Ron worked on the first four seasons of Paramount’s smash hit series, Star Trek: The Next Generation. Scoring Star Trek: The Next Generation offered a perfect opportunity for Ron to use all the skills acquired from the animation, live action series and independent features. Each episode was looked at like a separate feature, rather than a serial with repeated ideas. ST:TNG was really like a Wagneriansuper opera. Each episode had it’s own unique orchestral palette and themes. There were highly organized and compositionally developed themes and motifs, which related to the Star Fleet crew as well as the various life forms they encountered in their exploration of the universe. Ron further developed the Star Trek music in his scores for the groundbreaking computer games StarFleet Academy and StarFleet Command. These games were the first to use a full studio orchestra for the score. StarFleet Academy won the best score award from the Academy of Interactive Arts and Sciences. Not only has Family Guy become hugely successful as both a first run and syndicated series, it has topped the charts in home DVD sales, out selling many of the top feature films. Also, Family Guy is one of the most popular iTunes downloads, usually in the top 10 weekly. Ron has been pushed to create nearly every possible musical style and genre of scoring during his years working on Family Guy. From Broadway parodies, jazz, pop, contemporary grooves and songs to serious orchestral underscore, which rival anything on TV and surpasses many feature scores. Ron also scored another of MacFarlane’s series, American Dad, which is also on Fox. Ron is driven to learn and grow, both with his music and in his life. He is proud of his accomplishments and the over 40,000 compositions he has created so far. He looks forward to the next level of creative challenges with excitement and eagerness. When not scoring, Ron enjoys hiking in the mountains and landscape photography. Ron composes for orchestras, jazz groups, choirs, electronic, and a wide array of other music groups and styles with the goal of exploring the deeper side of music composition. He conducts all of his orchestral scoring sessions, the Influence Jazz Orchestra and he has guest-conducted orchestras in the U.S. and recentlywas a guest conductor for the Star Trek:The Ultimate Voyage concerts at Royal Albert Hall with the London Philharmonic as well as the west coast part of that concert tour with engagements in San Diego, Los Angeles, Portland, Seattle and Vancouver with members of the Czech National Orchestra. Ron is music director and conductor for the L.A. based Influence Jazz Orchestra, a 22-piece all-star Big Band. On occasion this group expands to a full 75 piece orchestra. Ron is music director and conductor for the 11-piece group Jazz Forest which is currently in studio finishing its first CD release and rehearsing in Seattle for several performances around the Northwest from Portland to Bellingham.